The development of IKEA’s 500,000-square-foot distribution center in Baytown, Texas marked the Swedish multinational’s first expansion into the southern region of the U.S. IKEA joined Walmart and Home Depot, which also operate distribution centers in Baytown. Together, these retailers are turning the Houston area into a major hub of distribution. But in IKEA’s case, there was a problem: building material, construction, and cell tower distance heavily limited Verizon service in the facility, resulting in poor internet and data speeds for front-office management. 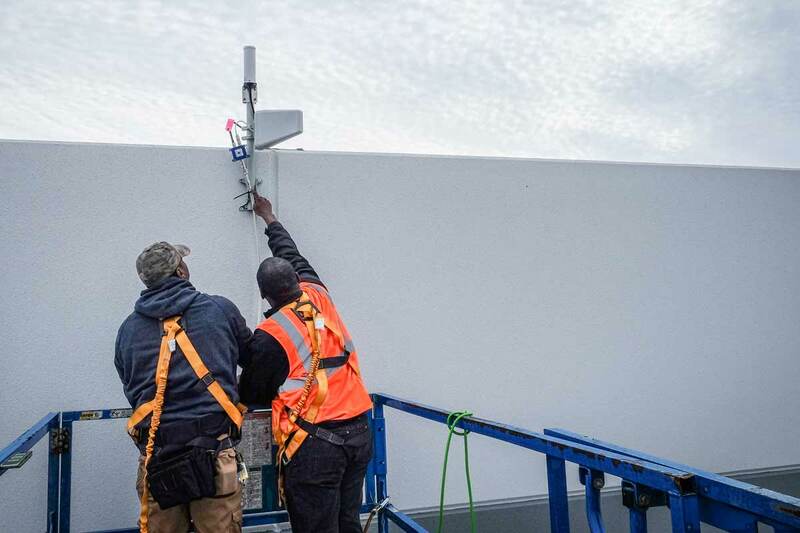 With less than two weeks until opening and dozens of staff relying on instant connection and communication to efficiently do their jobs, Gary Holler, project manager, and Simplice Bizimana, IT manager, needed a fast connectivity solution to maintain the high standard of operational quality IKEA is known for. The Wilson Amplifiers team recommended the WilsonPro 4000R because IKEA wanted the most powerful solution with the ability to scale in the future. With the power of four amplifiers in one design, it was the right choice to meet, exceed, and future-proof expectations. The outside antenna solution comprised two antennas: an omni-directional and uni-directional (also known as Yagi). The omni antenna pulled signal from a 360-degree field of vision while the uni-directional antenna pointed right at the nearest Verizon cell tower. This dual antenna approach helped boost signal from all carriers while also focusing on Verizon to service the office. Inside, the solution comprised four dome antennas. One for the 4G LTE router, two inside the front office and conference rooms, and one for the break room. The 4000R amplifier was placed in the server room where it could be monitored along with other high-end equipment. From site survey and pre-install check-up to installation, and post-installation support, the process took less than a weekend, well within Holler’s two-week deadline. With the improved signal, internet speeds improved dramatically and the IKEA distribution center opened without a hitch. Considering the time and money saved, especially for a busy project manager like Holler, it was a win on all fronts. "The improvement we saw was dramatic," Gary said. "We did a walkthrough and were amazed at how much better the signal reading was throughout the area." Download our e-book to learn more about selecting the right cell phone signal booster for your property. Or, visit the Wilson Amplifiers team at https://www.wilsonamplifiers.com/.